Last Friday, I saw Joe Rogan perform an energetic 2-hour stand-up comedy show in Montreal at the The Corona Theatre. Onstage, Rogan is a high octane, intense and supremely confident alpha male, with an imposing muscular build and the testosterone levels of a large bull. The audience was predominantly male, and I was part of a minority of women who had come by their own volition. His stand-up style is loose, improvisational, interactive, loud and completely mad. Yelling and swearing, he violently gesticulates and acts out his stories, nevertheless radiating intelligence and insightfulness. He discussed a range of topics: Chewbacca from Star Wars, online vegan cat forums, explaining “Christmas magic” to his 6 year-old daughter, populating the planet Mars, and the Montreal airport bathroom equipped with a studded condom vending machine right next to the dirty needle disposal. He is also very vocal about his support for the recreational and medical use of marijuana, as well as the exploration and expansion of consciousness. 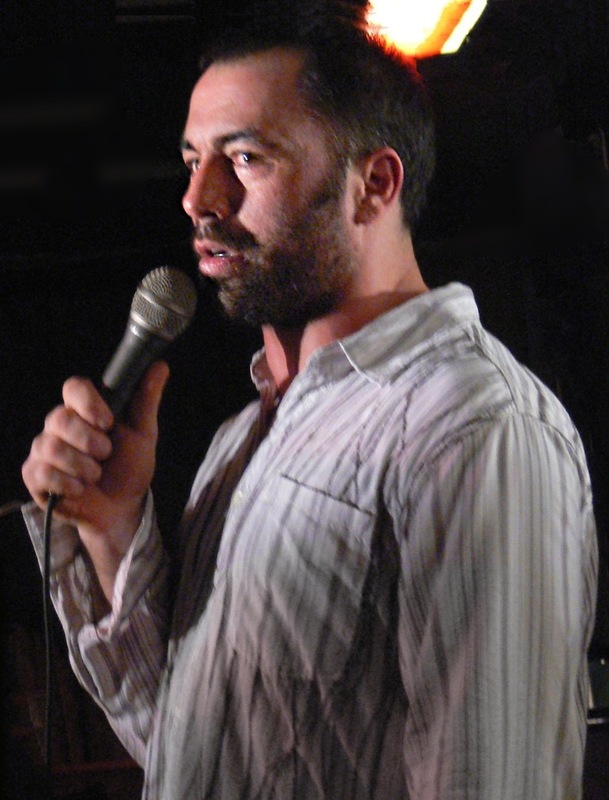 Rogan is antithesis of the stereotypical insecure, flawed, tormented, stand-up comic desperately seeking validation. Rogan is at the top of his game right now: he has been performing stand-up comedy for the last 20 years; his podcast, the Joe Rogan Experience, is wildly successful; and he is the voice that provides the context for the Ultimate Fighting Championships (UFC). Rogan is a mixed-martial artist with an encyclopedic knowledge of fighting and of the martial arts community. He has been working with UFC since 1997 and has been their colour commentator since 2002. Rogan also hosted Fear Factor from 2001-2006 until it was pulled from the air because of a particularly unsavory challenge for the contestants. The Joe Rogan Experience is currently the #1 comedy podcast on iTunes, and takes place twice weekly with 1-3 hour long episodes. Each is a long-form conversation with a diversity of guests and personal friends who are comedians, musicians, martial-artists, authors, scientists, entrepreneurs, artists etc. Rogan is thoughtful and intelligent, asking honest and insightful questions, engaging his guests into animated discussions and delving into complex topics. I’ve been a regular listener of Rogan’s podcast since it started in 2009, when I was then doing mind-numbing data entry for two years. While making my existence more bearable, I discovered a wide range of interesting personalities such as Graham Hancock, Duncan Trussell and Terence McKenna, amongst many others. Joe Rogan now feels like a close personal friend after all these years and has definitely influenced my interests and and exposed me to new ideas. I had no real visual of Joe Rogan, prior to Friday’s show. In person, physically, he was not the kind of guy I’d like to run into in a dark alley. The delivery of his stand-up was much more aggressive, louder and more physical than I had anticipated from just listening to his podcast. His alpha-male aggressiveness is both a quality that distinguishes him from other stand-up comics, but also a mask, which can obstruct a more profound perception of his intelligence and insight. At one extreme, he easily commands respect, connects with and helps educate the stereotypical white angry American male. But at the other extreme, it can alienate the scientific single mom who appreciates his intellect, communication style and approach to life. Ironically, at home, Rogan, is surrounded by women: his wife and three daughters, the youngest being just 4 years old. Rogan is undeniably and genuinely fascinated in the pursuit of knowledge and understanding of the world, and brings together a wide variety of people, topics and issues on his podcast. Rogan honestly wants to make the world a better place, through the exploration and expansion of consciousness, and through science, technology and education. While I very much enjoyed Rogan’s stand-up comedy show last Friday, I prefer his podcast. Maybe it’s because I’m a woman and a mom, but I find that when Joe Rogan balances his Yin and his Yang, he’s at his best. That’s actually a very good critique of Joe Rogan’s stand up, surprised no one else bothered to leave a comment. I happen to share your opinion, I like Rogan the UFC commentator but I don’t find his style of comedy funny. Bill Burr, one of the best comics ever imho, recently had him on his podcast and I was surprised to hear Rogan had a Netflix special coming out, which made me google “is Joe Rogan a good comedian”. Turns out the majority of people, at least those leaving comments on reddit and such, appreciate him as the host of his podcast and as a UFC commentator, but few seem to dig his stand up, live or taped. Perhaps there’s some truth in what several people said on reddit, namely that his comedy routine is aimed at teenagers who have recently discovered pot and are now fascinated by the rebellious, anti establishment angle of smoking weed. Or maybe you’re right and he’s just too healthy and wholesome and lacks the neuroticism and tormented soul that most stand up comics seem to have. Or he really is too nerdy and lacks the street cred. Thanks for your comments! I actually liked his new Netflix stand-up special more than the show I reviewed here. He seems a bit more nuanced in this one!